Sunninghill Carpets & Flooring is a family owned business established for over 30 years. We take immense pride in the quality of our work & the fact our clients keep returning. We're delighted to be able to offer our clients a wide choice of options, to help transform your interiors. We are Amtico and Kährs Floor Specialists and one of their appointed retailers and installers, as well as supplying & fitting a wide range of quality carpets. Other brands we stock and install are Crucial Trading, Westex , Telenzo, Louis De Poortere, Elements, ITC, Jacaranda. Sunninghill Carpets & Flooring is proud to be a registered Carpet Foundation specialist so you can be sure you are in trustworthy hands & quality is guaranteed. Visits to our shop on the High Street in Sunninghill, are always welcomed! Surrey Wood Floors are experts in supplying, installing and renovating all types of wood flooring in the Surrey, Hampshire, West Sussex and surrounding areas. Wood flooring is a beautiful, natural, healthy and environmentally responsible way to transform your living and working interiors. For over a decade Surrey Wood Floors have been helping architects, designers, residential and commercial clients with our wood flooring knowledge and expertise. We offer our clients excellent customer service and guarantee all work is carried out to the highest of standards. The majority of our work comes through personal recommendations and we enjoy close working relationships with property developers and carry out installations on behalf of retail outlets. Operating from Guildford in the heart of Surrey we're always happy to discuss any requirements that you have and share our vast knowledge with you to achieve your truly bespoke wooden floor. Ascot Carpets have been trading in the same spot since the 1970s. 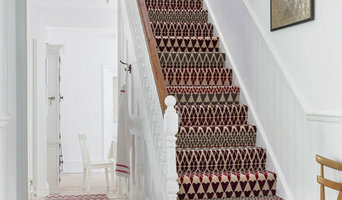 Now Ascot Carpet Co, we are an independent business continuing to deliver the highest level of service and the best quality carpets and flooring in the Ascot and surrounding area. Our customers tell us time and again that what makes us stand out against the competition is our personalised service from start to finish. From the moment you walk into our shop you’ll find a friendly, professional service and attention to detail you won’t find elsewhere. Bespoke Flooring, Carpets & Rugs - Premium supply & installation of Jacaranda Carpets, rugs, stair runners, wooden flooring & LVT. Where can I find the best Itchen Abbas, Hampshire carpet fitters? A carpet professional will often both supply and fit carpets. A full service carpet professional can offer everything from a catalogue of carpet colours and pile options to carpet accessories like underlay, gripper rods and door plates. Carpet fitters will need to measure your home and they will provide you with an estimate for materials and fitting service. Similarly, if you need someone to help with carpet repair there is a dedicated carpet professional in Itchen Abbas, Hampshire just a few clicks away. Check the reviews of carpet fitters in Itchen Abbas, Hampshire and look out for those who are members of trade organisations such as the NICF (National Institute of Carpet & Floorlayers) or the National Carpet Cleaners Association (NCCA). 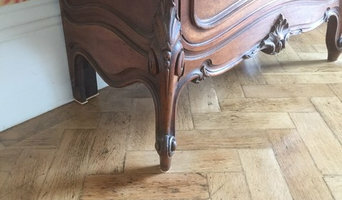 On Houzz you can search for flooring specialists and carpet fitters in Itchen Abbas, Hampshire and start to shortlist companies by adding your favourite images to an ideabook. Think about the style of flooring or design of carpet that might best suit your room and then approach the most relevant experts who can then fit your carpets, lay tiles, install hardwood floors or show you how to fit laminate flooring. 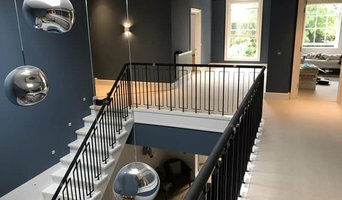 Your carpeting and flooring professional might work closely with Itchen Abbas, Hampshire contractors, interior designers and others in the home building and home improvement industry. Here are some related professionals and vendors to complement the work of carpet & flooring: Interior Designers, Design & Build, Specialist Contractors, Main Contractors, Home Builders. What do I need to ask flooring manufacturers, installers and carpet fitters in Itchen Abbas, Hampshire before I hire them? How long have so been in the flooring business or working as carpet fitters in Itchen Abbas, Hampshire? Find carpet fitters and flooring experts on Houzz. Narrow your search in the Professionals section of the website to Itchen Abbas, Hampshire carpet fitter and flooring professionals. 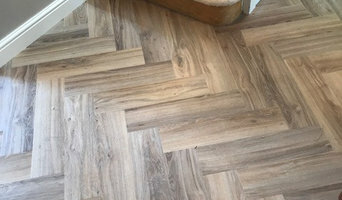 You can also look through Itchen Abbas, Hampshire photos by style to find a floor design you like, then contact the floor companies or carpet fitters in Itchen Abbas, Hampshire that worked on it.